Made in Turkey, where beautiful jewelry has been a tradition for centuries. 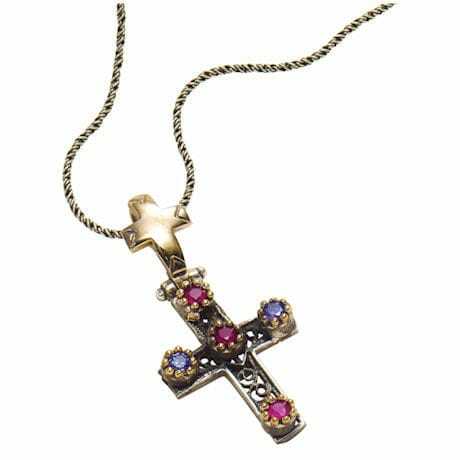 Openwork cross (XB4612) of antiqued sterling silver is accented with prong set amethyst and garnet stones. The beading around the stones and the cross-shaped bale are overlaid with 9K gold. ½" wide, 1" long. Oxidized sterling silver cable chain (HK5686) sold separately.